The size of these braids are in between small and medium which is a nice size for those who want to be able to easily tie their hair in a bun or ponytail struggle free. They also don’t feel heavy or painful. 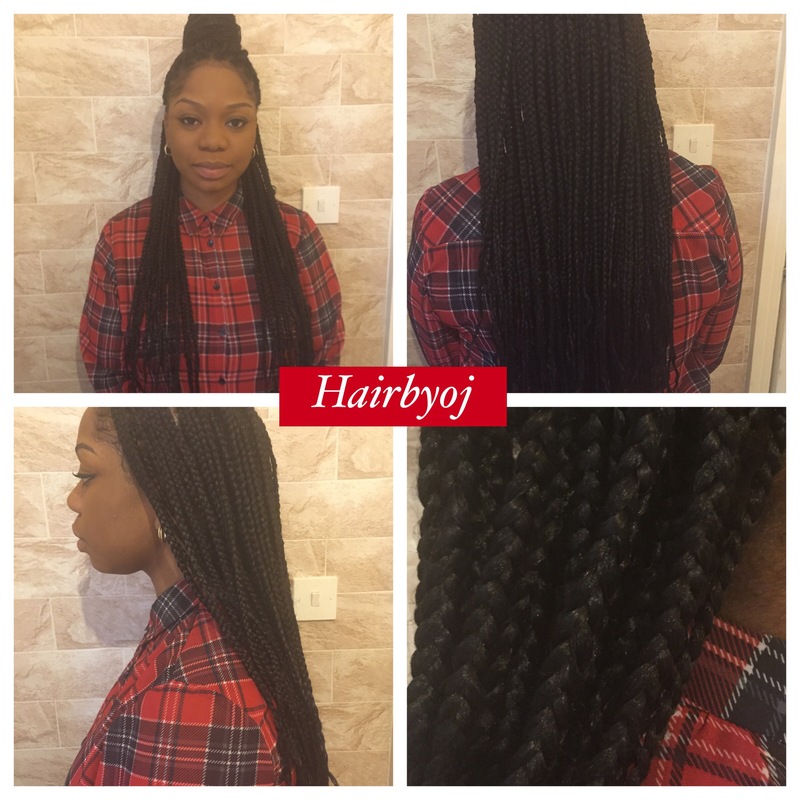 A lot of styles can be achieved with these braids, one example is shown in the first image. I have done quite a few posts showing the 4 way vixen crochet braids, so i thought I’d illustrate a few of the styles that can be achieved with it- some of which can be seen in the 2nd, 3rd and 4th posts. Styling options are endless with this Versatile method. Similar to my Previous post, this client did the 4 way part vixen crochet braids but left additional leave out to enhance the natural look. 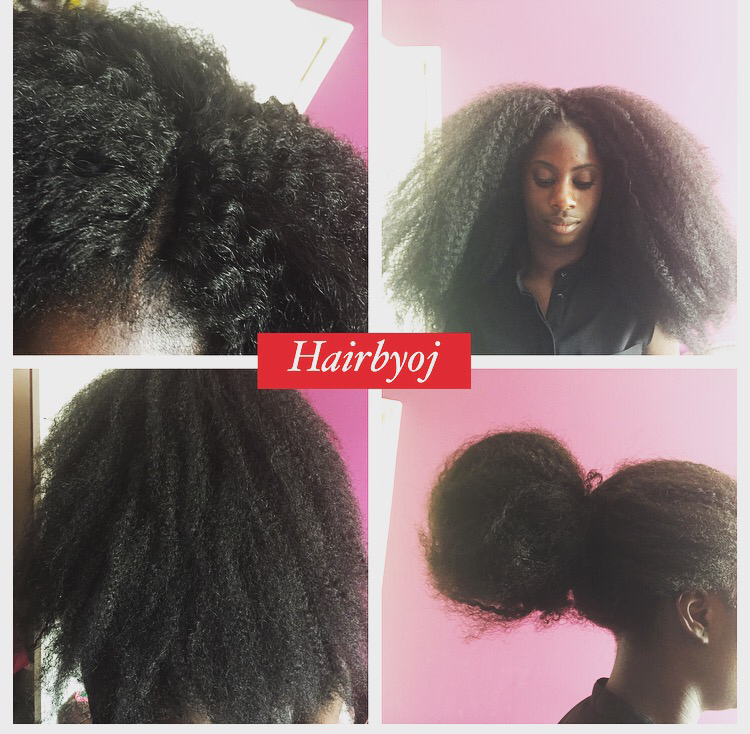 To help your hair texture to blend with the Marley hair even more, you could blow dry it or use gel but your hair generally tends to somewhat ‘mould ‘ in with the Marley as time goes on. 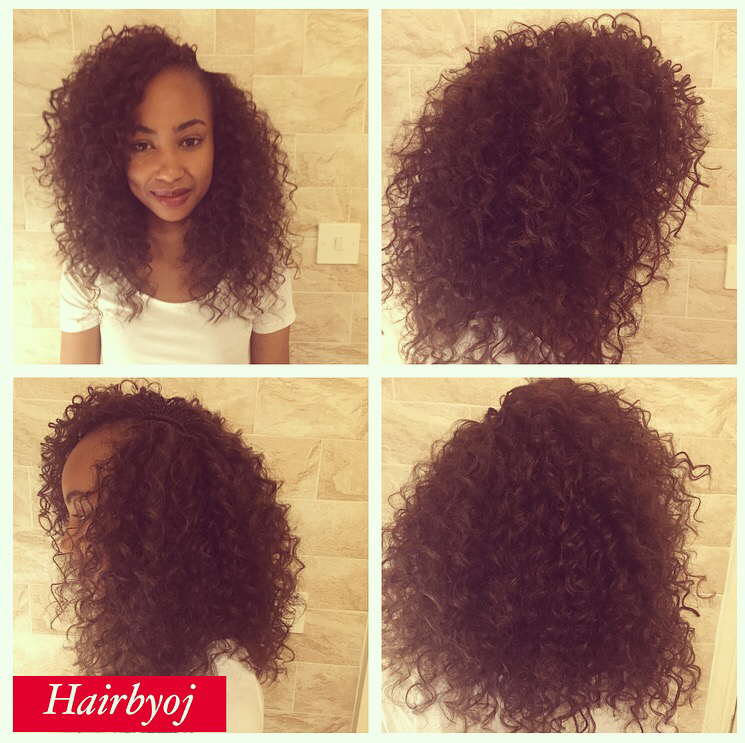 This vixen crochet braids style has enough volume for those who want a more natural look. The images on the left show a couple of the styles that can be achieved with the vixen. 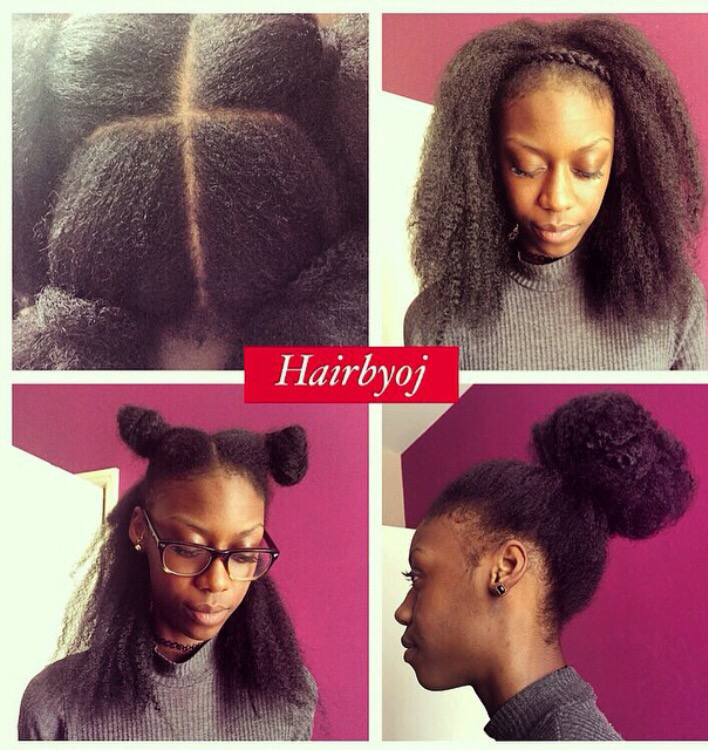 The image on the bottom right shows the knotless technique which is used to enable easier blending with the client’s natural hair. The brand of hair used for this style is ‘noir’ Marley hair, it enables more of an Afro curly look, as opposed to the coarse Afro textured look. The leave out increases styling versatility and the invisible Partings create the illusion that the hair is growing from the scalp. This installation was done with the Cherish ‘Spanish curl’ in colour 4. The hair is slightly layered where the side parting is and the longer length adds more body and volume to the hair. 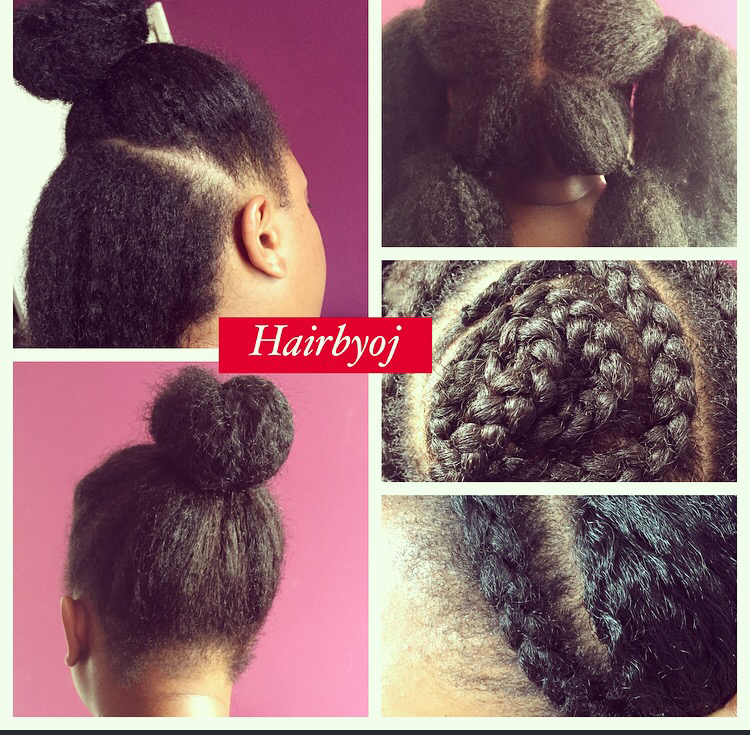 This post is simply to show the comparison between crochet braids invisible partings. The image on the left shows an invisible parting done with human hair and the other image shows the parting done with synthetic hair. 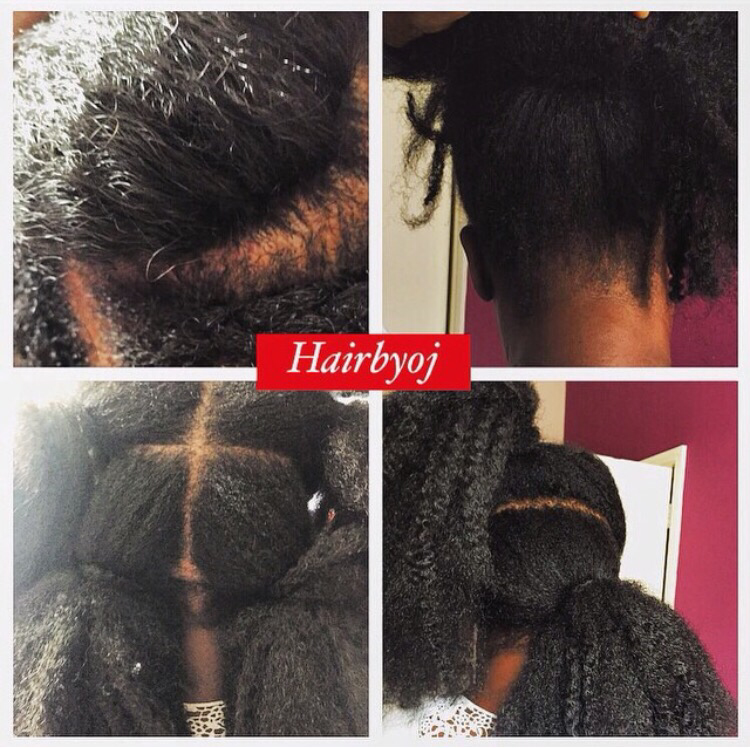 Generally I won’t do a full head of crochet with human hair because it sheds a lot and results in a very sparse and empty look. 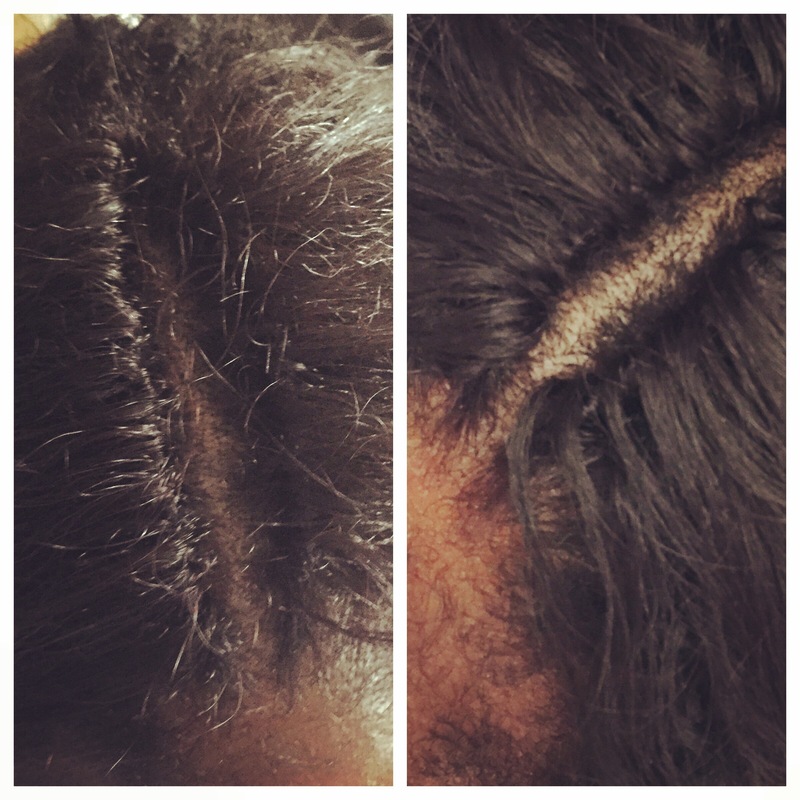 This client requested to have just her parting crocheted so she could do a weave install on the rest of the head. If the hair is too silky, I tend to not agree to do invisible parts as the knots are likely to come loose, but as you can see invisible partings generally enable a more ‘natural look’.